The Lillian Passmore Donovan Memorial Scholarship is aimed specifically at Indigenous Australians with an interest in pursuing a career in Social Work. Applications are open to all Indigenous Australians who are either currently undertaking Year 12 studies, or mature age applicants wishing to pursue a career in social work, or are currently enrolled in an undergraduate social work degree at Curtin University. The Scholarship will meet the cost of the student fees each year for a Commonwealth Supported place, plus a $2,000 cash payment per year to assist with costs associated with studying (textbooks, incidental expenses etc) for the normal expected duration of the degree for which the Scholarship is offered. The fee component of the Scholarship will be paid directly to the student fee account in two installments per year to be paid prior to the census date relevant to each enrolled semester. The cash payment of the Scholarship will be paid to the student’s nominated bank account in two installments of $1,000 (pro rata if part-time) per year. First and second semester payments will occur post census dates (thus approx mid-end April and mid-end Sept). 2. Be an Indigenous Australian. 5. 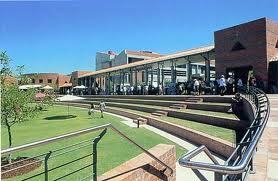 Be undertaking the first semester of their first Undergraduate Degree at Curtin University in 2011. 6. Be eligible for a Commonwealth Supported place. 1. An applicant must submit a completed application form with supporting documentation attached by 4:30pm on Monday 15th November, 2010, to the Scholarships Office at the Bentley campus. For a list of all documentation required for an application please see Section 6 of the application form. Documents must be certified copies not originals. No other copies (including faxes) will be accepted. For details about certification go to scholarships.curtin.edu.au/students/certification.cfm. * Demonstrated commitment to pursuing a career in social work. * Reference from an independent person supporting your application and your interest in Indigenous health. * Responses to questions in application. * Receive an offer of a place into an eligible Undergraduate Degree at Curtin University in 2011. 3. All applicants will be notified in writing of the outcome of their application in mid-January 2011. 4. In order to accept the Scholarship a recipient will be requested to return a signed Terms and Conditions document and provide bank details. 5. If a recipient wants to defer their Scholarship they will need to complete the necessary paperwork that will be included with their offer of a Scholarship. 6. Once the Scholarship has been accepted, the Scholarship will commence from the first semester of study. 7. A Lillian Passmore Donovan Scholarship is not transferable to another university or degree. Demikian kami sampaikan tentang Lillian Passmore Donovan Memorial Scholarships, Curtin University, Australia semoga informasi tentang Lillian Passmore Donovan Memorial Scholarships, Curtin University, Australia ini bermanfaat.